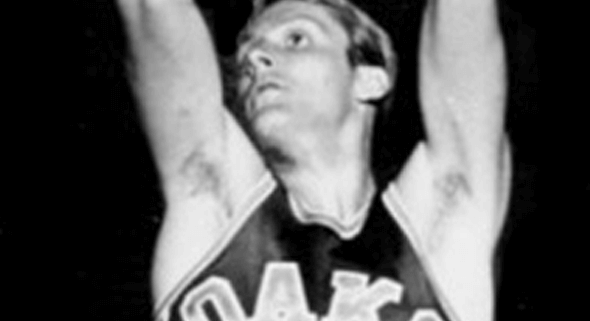 A natural scorer, Hall of Fame forward Rick Barry is the only player in history to lead the NCAA, NBA and ABA in scoring, and his name appears near the top of every all- time offensive category list. Over an amazing 16-year career, he played for the San Francisco Warriors, Oakland Oaks, Washington Caps, New York Nets, Golden State Warriors and Houston Rockets. 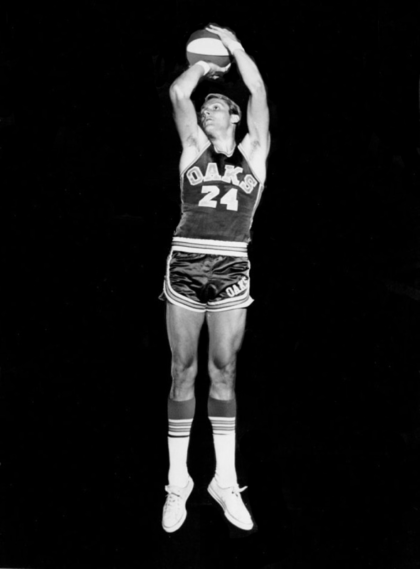 Barry scored more than 25,000 points in his professional career, and averaged at least 30 points a game in four different seasons. He was NBA Rookie-of-the Year for the 1965-66 season, a 12-time All Star (8 NBA & 4 ABA), was on 5 All-NBA First Teams and 4 All-ABA First teams, MVP of the NBA 1967 All-Star Game and MVP of the 1975 NBA Finals. When he left the game, he was sixth on the NBA-ABA all- time scoring list and 10th on the all-time steals list. A deadly free-throw shooter, he was known for what many considered to be an unusual underhand style. However, the style was very effective and at the time of his retirement his 90% career free-throw percentage was the best in NBA history. In 1987, Barry was inducted into the Naismith Memorial Basketball Hall of Fame and was voted one of the 50 greatest NBA players of all time. He is the father of former NBA players Brent and Jon Barry and the only professional player in history to have five sons receive NCAA Division I basketball scholarships and to have all five sons play professional basketball, three in the NBA. His youngest son, Canyon, was the 2017 NCAA Division I Academic All-America Player-of-the-Year. Along with his mother, Lynn (who is the only woman to have her jersey retired at William & Mary), they are the only mother/son to have both been selected as two-time NCAA Division I First Team Academic All-America players.